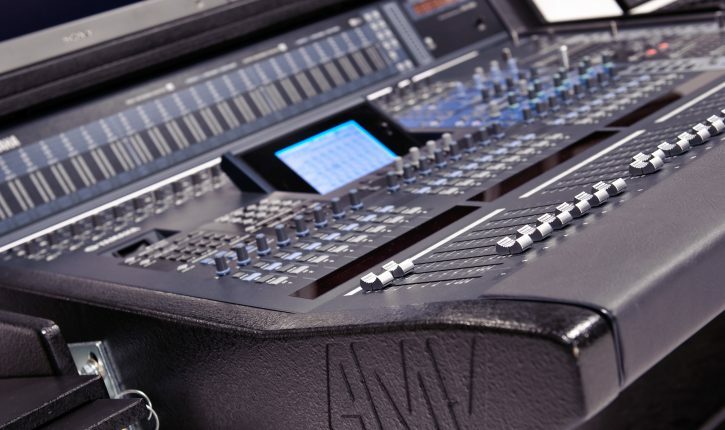 As the perfect audio companion to AMV’s Tapeless Video carrypack system – the DM2K Audio Carrypack is completely digital, made for fast set-ups/strikes and most importantly cost-effectiveness. Whether you are going “live to air” or tracking a band for re-mix at an audio post facility, our DM2K Audio Carrypack will deliver outstanding audio while not breaking the bank. 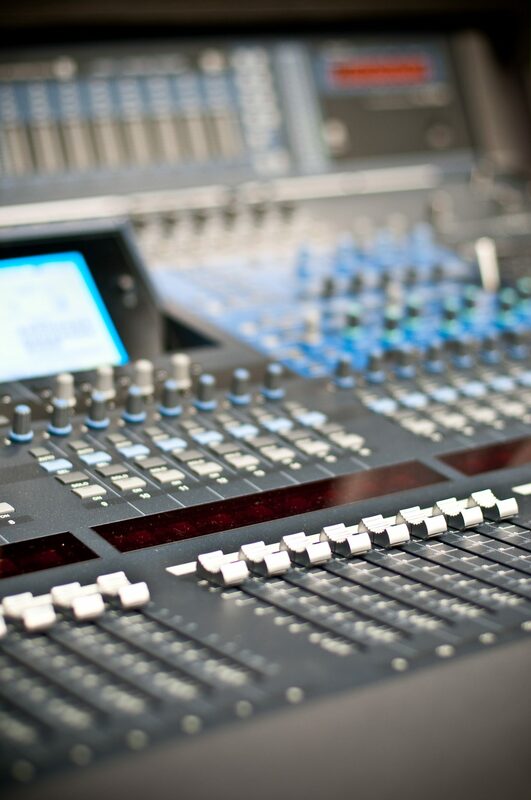 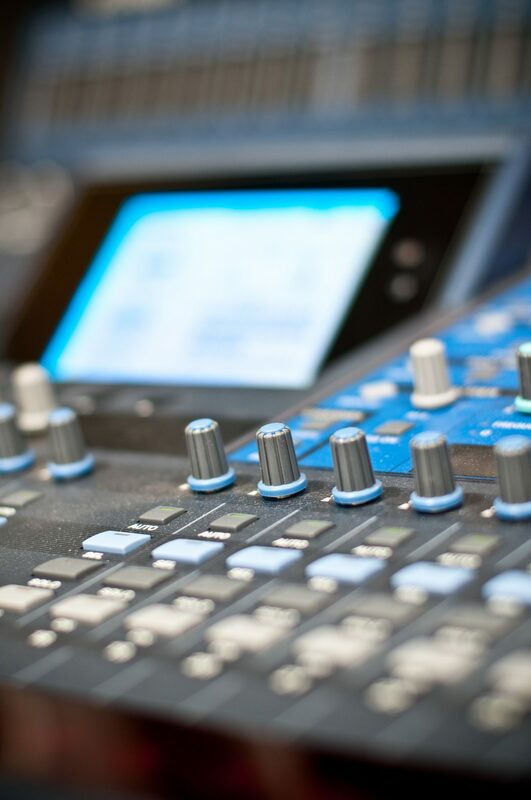 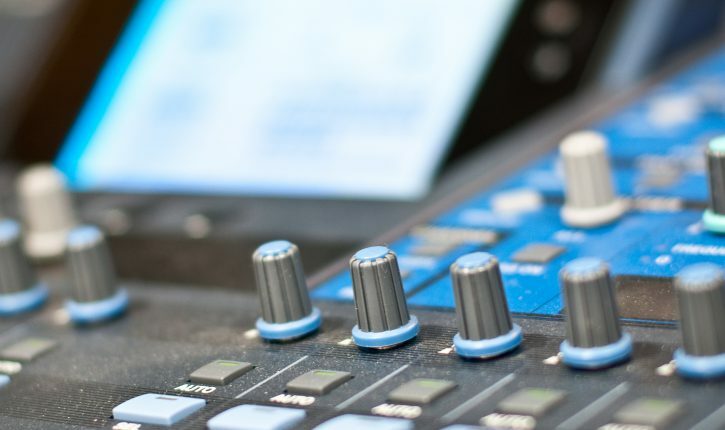 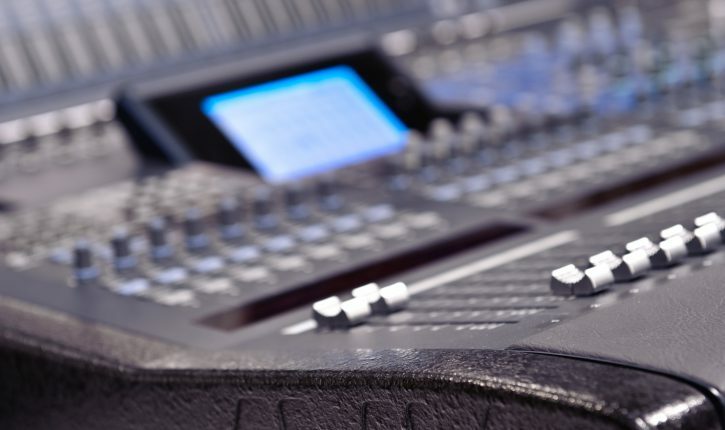 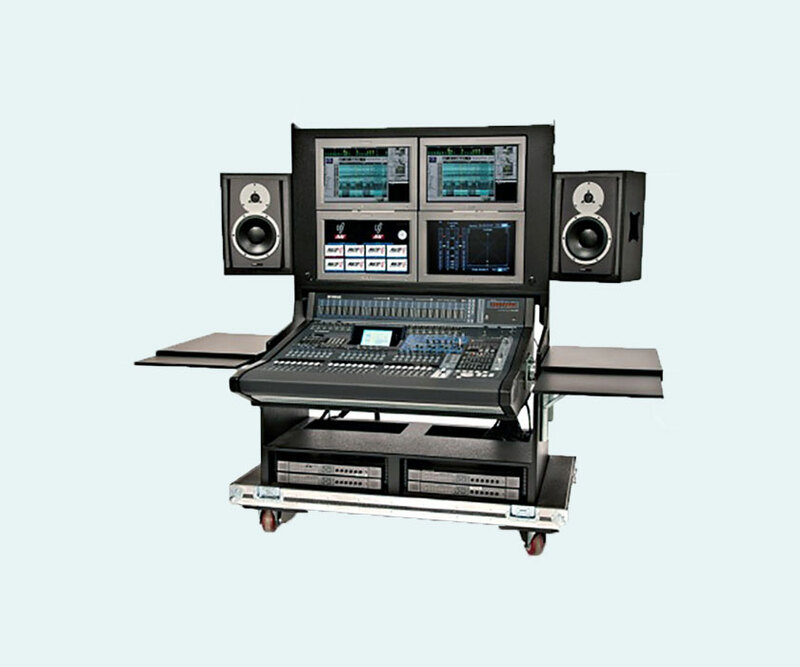 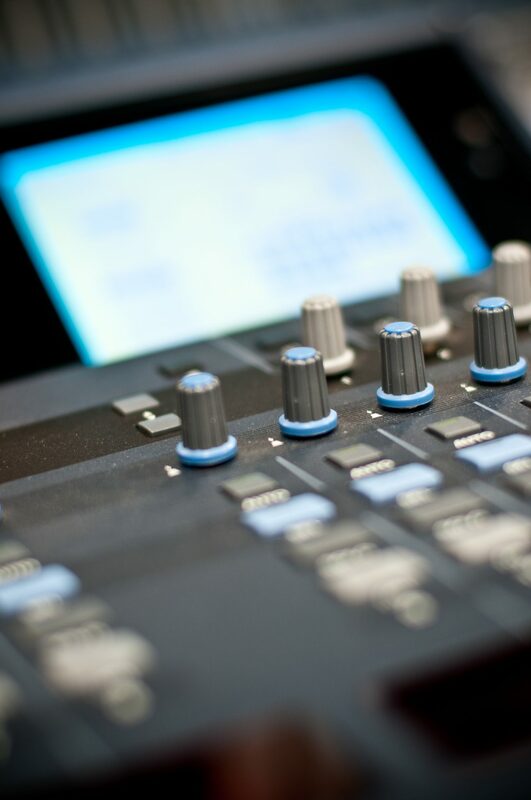 At the heart of the system is our quick set-up/strike integrated equipment-furniture design containing a powerful 96 input Yamaha DM2000VCM digital audio mixing console. 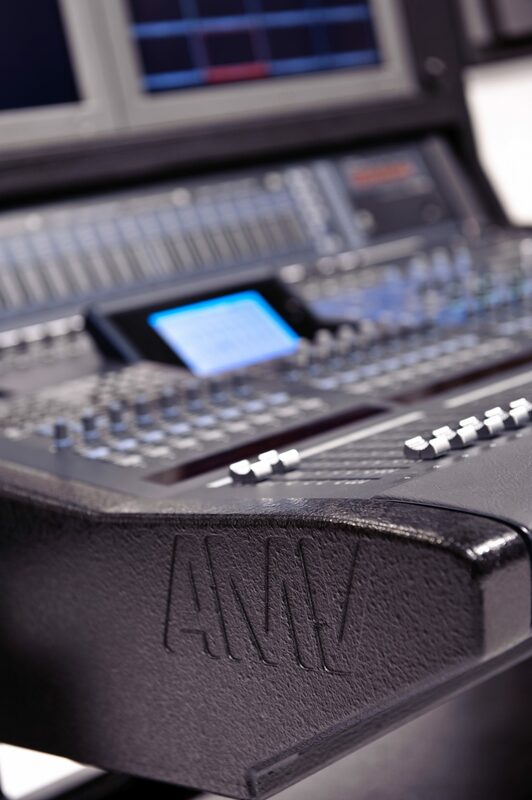 AMV’s console includes VCM (“vintage analog compression” and EQ) as well as other digital plug-in effects. 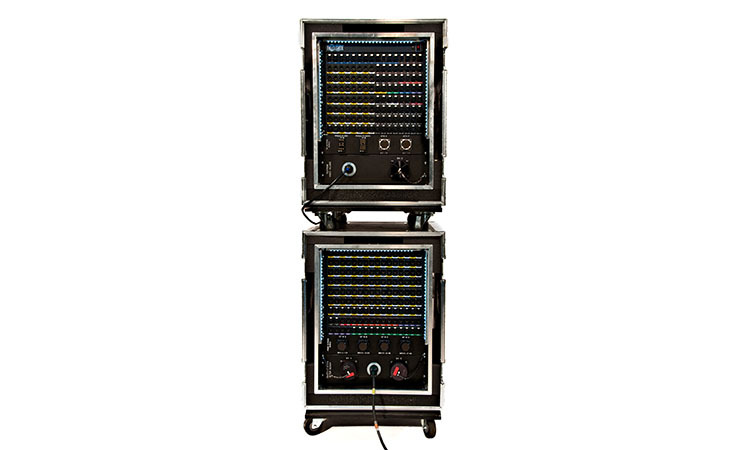 Our small DM2K configuration: Includes 24 mic level inputs, plus 24 line level inputs, 32 analog outputs plus the main stereo bus. 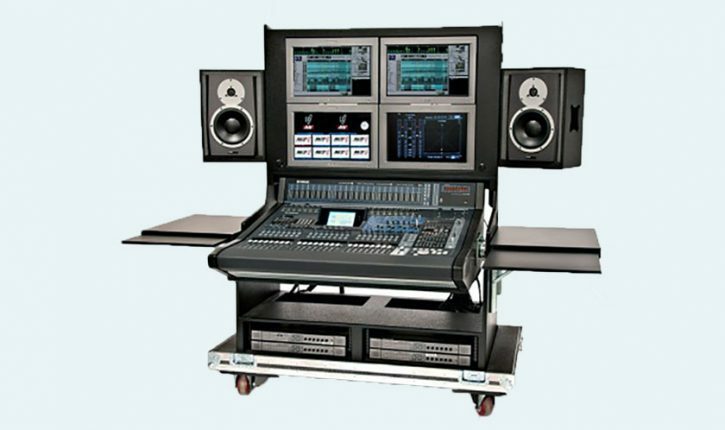 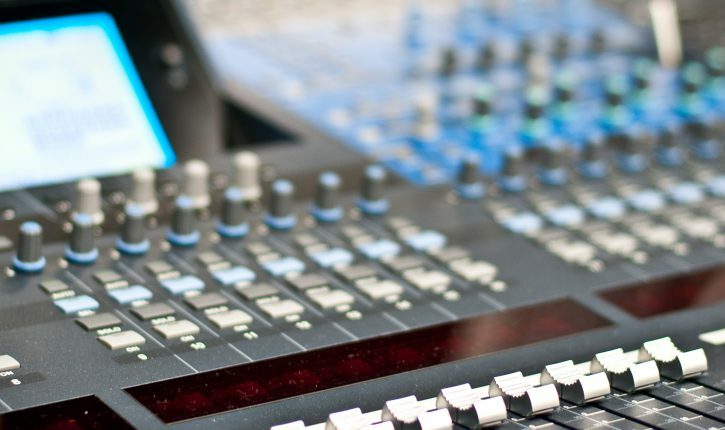 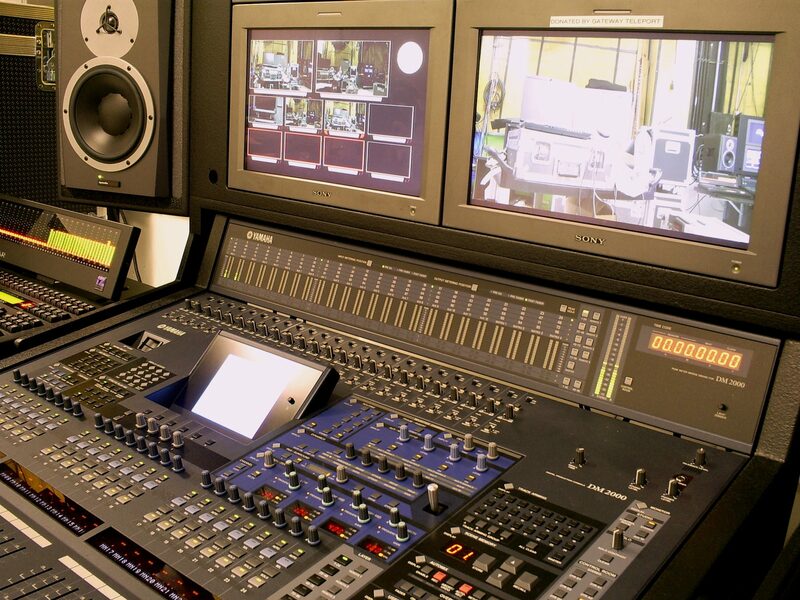 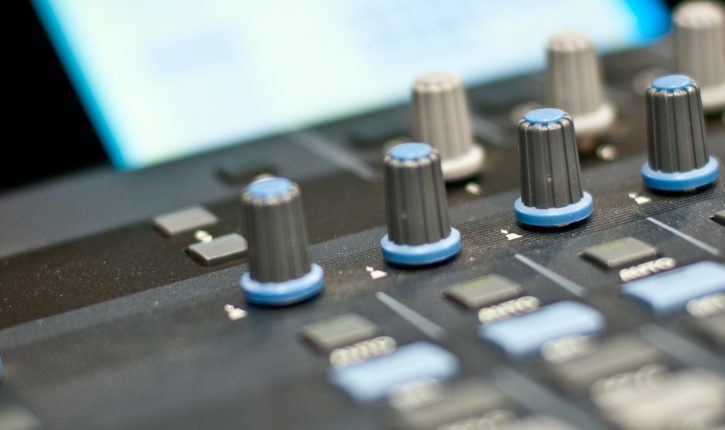 Optional ProTools audio multi-track recorders are fed digitally via a MADI stream sending 48 tracks from the console to the hard drive based multi-track recorders and returning 48 tracks for monitoring at the desk. Our large DM2K configuration: If the second set of 24 console inputs needs to be mic level high quality Aphex Systems 1788 pre-amps can be supplied. 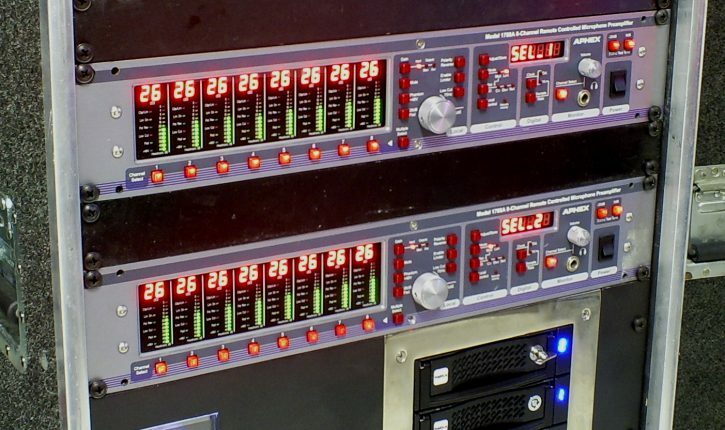 AMV also has an inventory of DANTE based I/O. 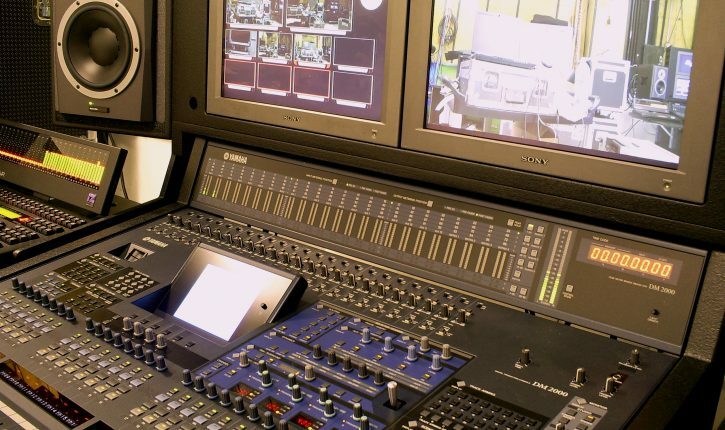 Other included equipment: (4) 17” LCD VGA HD video monitors typically providing monitoring of video-program and/or camera repeat multiviewer (via the Miranda Kaliedo Altos in our Tapeless video carrypack), audio phase metering, and/or multi-track recorder status. 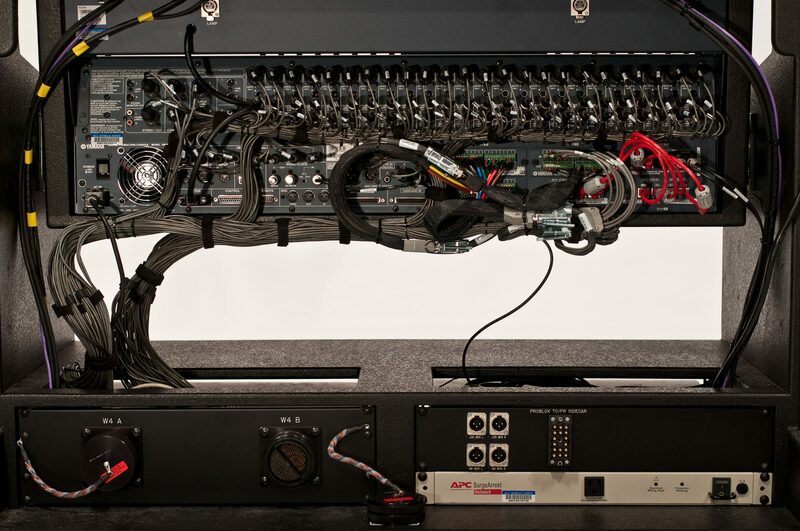 (2) DYNaudio BM12a audio studio monitors and twenty patchable analog audio distribution amplifiers round out the configuration. 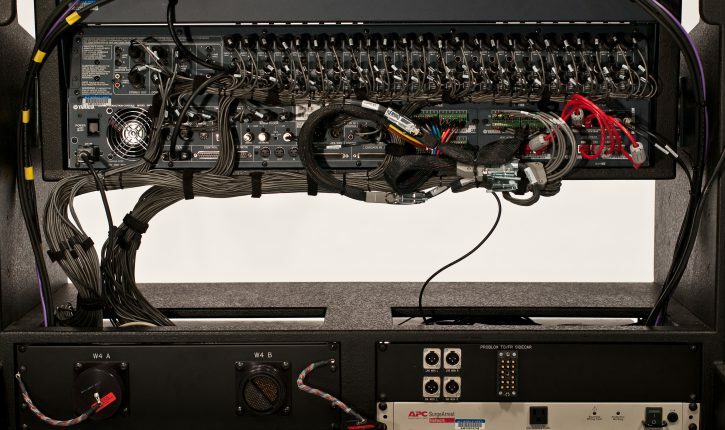 All connectivity between the DM2K bench and our I/O racks is via two W4 MASS-58 cables. 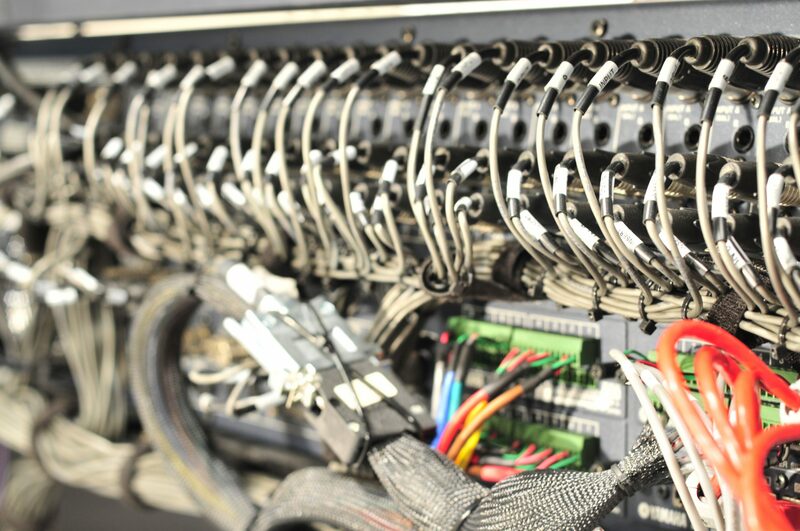 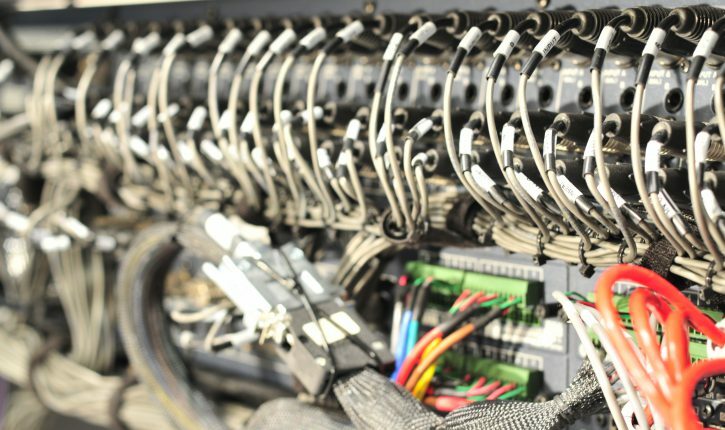 Cabling to the I/O rack from the outside world is accomplished using standard DT12 connectors. 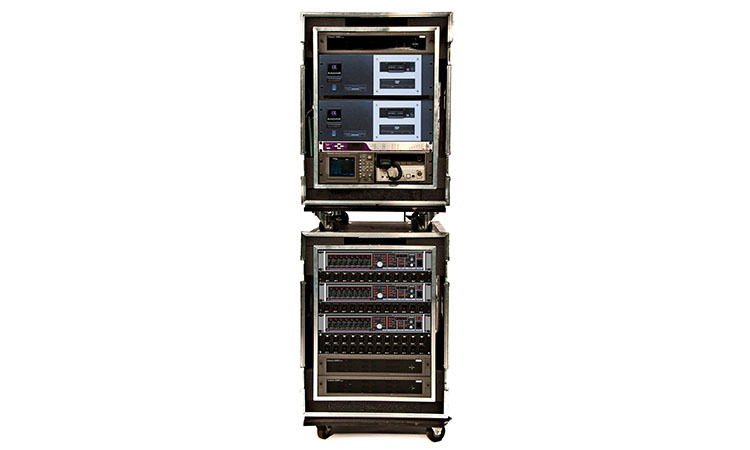 This standardization translates into fast, repeatable and simple set-ups. 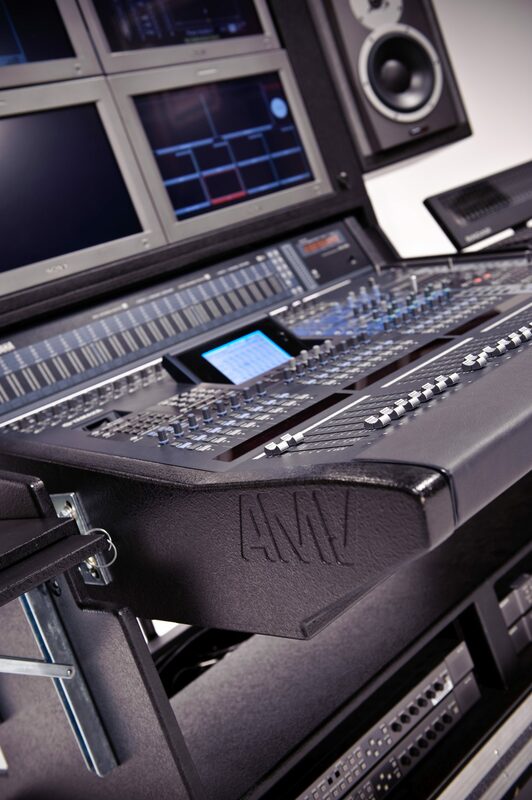 AMV also offers stage and audience mic packages, wireless mics, splitter systems, fiber optics, wireless PL and IFB, optionally. 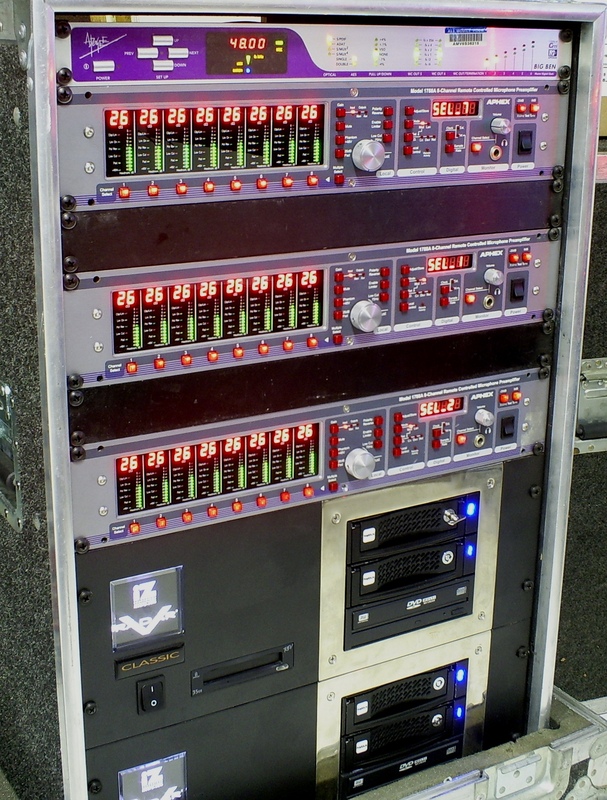 All connections to/from outside world via W4 MASS-58, DT12, ProBlox and/or XLR.